Great price and very useful. Love them! Beautiful and well made. 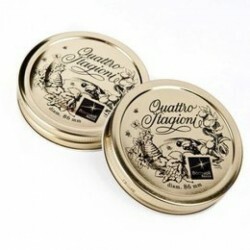 Great for fried goods, pasta, granola etc. Work great for my limone cello. Yum yum. Everything as it should be. Quick shipping. I use my large 1 Liter Weck Jars to take to work with me and sip on throughout the day. Shoot, I even use them when I'm home to be honest. They are priceless. I am very pleased with my glass jars...You really cannot get any better. OH! Side note...I lost a few clips along the way so I bought 12 extra Weck Jar stainless steel clips. I love the Weck Jars. They are great space savers and look incredible in the fridge. Very durable! 1 litre (exact capacity = 1062ml) Weck Preserving Deco Jar. Suits large lid and seal (optional). 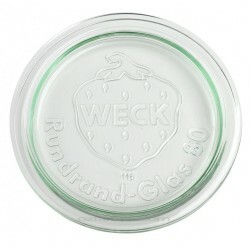 Weck reusable glass jars are of the highest quality and contain NO BPA! (Bisphenol A). These jars are suitable for water bath only, the deco jars are not recommended for pressure canning or freezing. 20 x Pesto / Jam Jars and Lids 150ml capacity with lids 8.5cm highBrand new 150ml round preserv..
6 x 1 Litre Weck Tulip Jar - 745 - includes glass lids, seals and clamps - Made In Germany1 lit..
16 x Papalina Jars and Lids 65ml Capacity with lids 3.5cm highBrand new 65ml round glass preser..
Fowlers jar tongs are made of stainless steel and are designed to enable you to remove hot jars from..